The house is a classic 1880s Victorian sandstone villa situated in the peaceful and prestigious King’s Park area of Stirling. 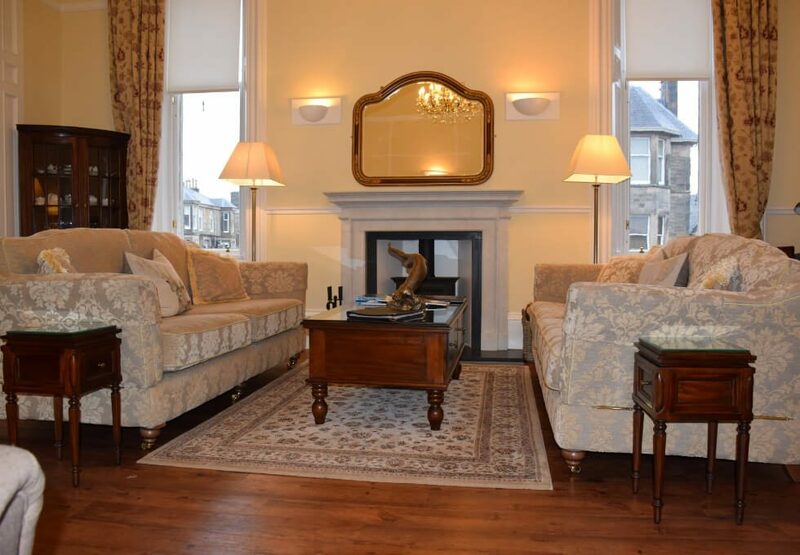 Close to the City centre and situated in the shadow of Stirling Castle overlooking the tree lined Victoria Square; it could not be in a better location. Easily commutable to Edinburgh, Glasgow, Gleneagles and the Trossachs, Victoria Square is an ideal base for the tourist and business traveller alike. King’s Park takes its name from when it was literally the King’s park during the medieval and middle ages when Stirling Castle was both a military fortification and home for the Scottish royal family. The area occupied by the existing park, golf course and the grand Georgian and Victorian period houses was the King’s hunting ground. It could not be a better backdrop for what we have on offer in Victoria Square. The house has listed status within the King’s Park conservation area. Whilst this made for some challenges when we renovated the house in 2013; we believe that the end results were worth all the effort. 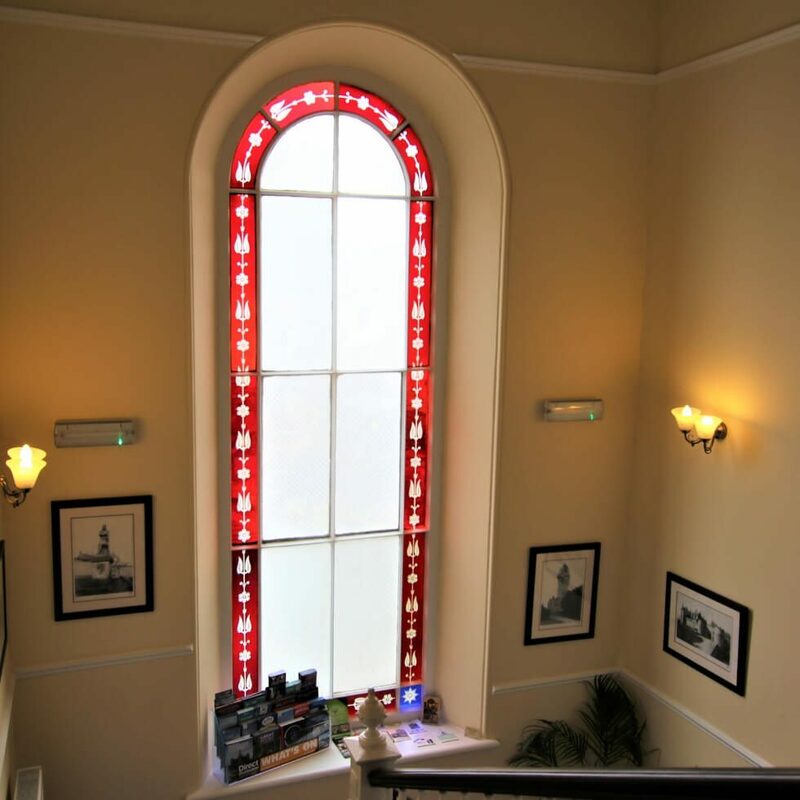 The grandeur of the house is immediately apparent on entering the impressive hall. 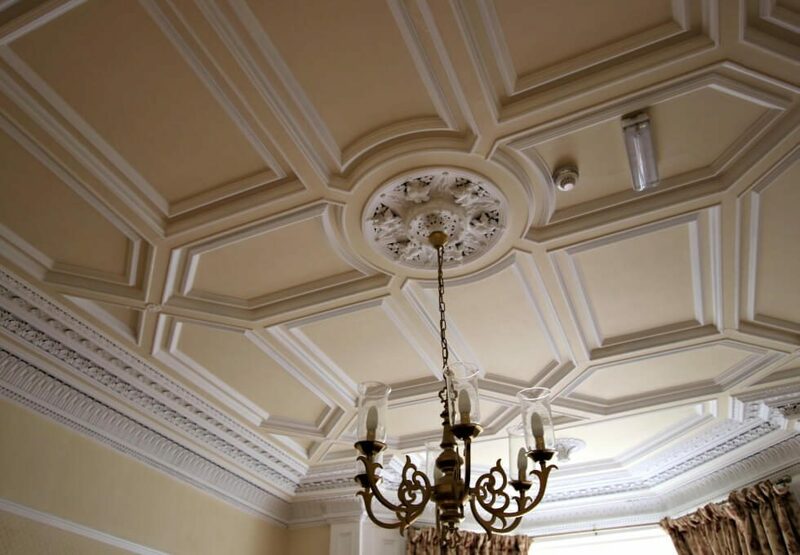 We are fortunate that most of the original ceiling mouldings are in good condition. The main dining room is notable for its Commonwealth ceiling, containing the all the emblems of the British Isles. Our guest lounge also has a beautiful ceiling and is an ideal location for residents to cosy-up after a hard day with a drink in front the fire place. We were keen that to ensure that the period theme continued throughout the whole house, albeit recognising this needed to be balanced against modern tastes and expectations. Hence whilst each of our spacious and luxurious 10 en-suite guest bedrooms draw inspiration from the elegance of the Victorian period they are also equipped with all the modern comforts that discerning guests expect today. 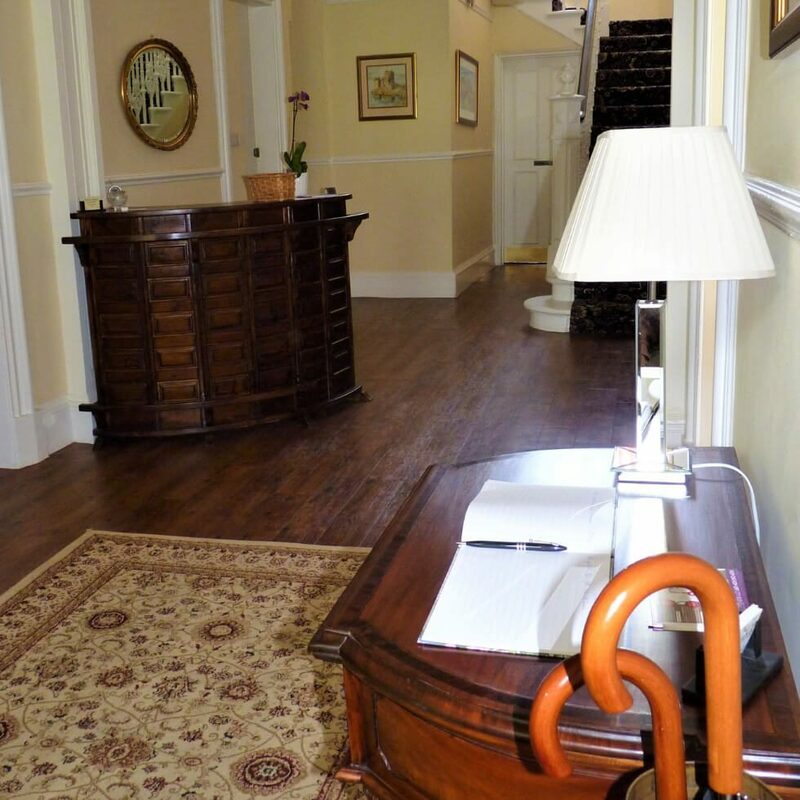 As a townhouse we have limited parking available on-site on a first come first serve basis on day of arrival (availability cannot be guaranteed). There is always plenty of on-street parking available for a very modest cost.